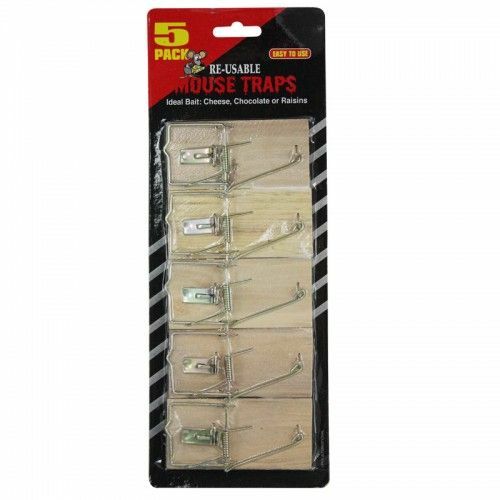 The traditional and ever-reliable wooden mouse trap - supplied as a pack of 5 for maximum coverage. The traditional and ever-reliable wooden mouse trap - supplied as a pack of 5 for maximum coverage. Improvements from the original include a clip to hold the bait in place more securely and a retaining bar that can be set to different sensitivities.